Kitting out the new workshop means a new workstand – possibly the single most important bit of equipment when it comes to comfortable and accurate bike maintenance. Previously I owned one of the cheaper generic fold up stands (take your pick) but found it deeply disappointing, so much so that I ended up freecycling it! 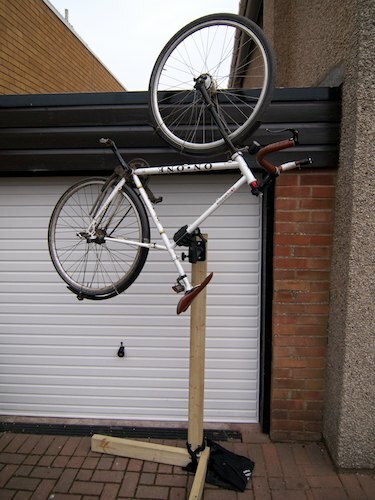 What makes a good bike work stand? solid grip, at least enough for hauling on stiff bolts or fixing punctures when you can’t be bothered to remove a wheel. Park Tools have the best reputation, but as with all things Park, you pay a premium. 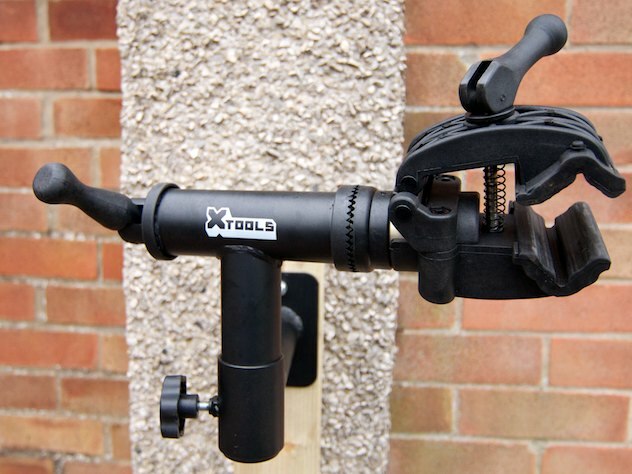 The X-Tools Prep Stand comes comparatively cheaply at around £45 – although this wall mount model obviously sacrifices the flexibility of a portable stand to come in at this price. Portable stands can be fine – especially if you get a tripod or four-legged model – but if you have somewhere that will accommodate a wall mounted clamp, you’ll really be spoiled for strength and stability. With 20m2 to play with, I thought this was worth a shot. You’ll notice that I’ve attached the clamp to a DIY wooden stand to help me figure out the best place to screw it to the wall. This has actually been a surprise success and I’m half tempted to get another one to keep like this – see an upcoming article for the “instructable” on making this. It’s quite straightforward to reposition this with a bike in the clamp, although inevitably it’s smoother when unweighted. The clamp itself has a large QR lever which can be tightened or loosened by rotation (exactly like a hub QR). 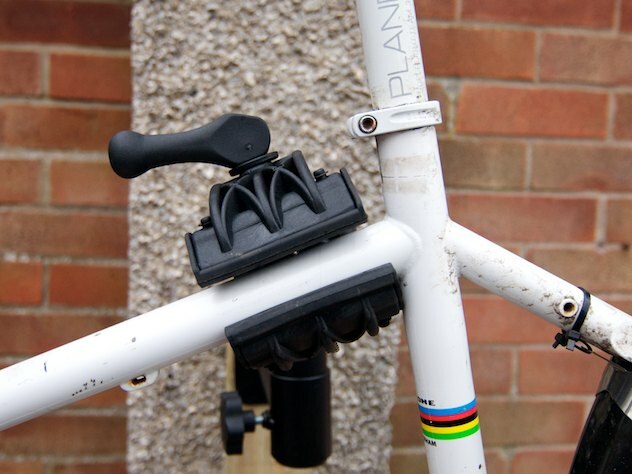 Unfortunately, it’s the single weak point of the clamp, as it doesn’t have enough throw to grip a bike in one go. 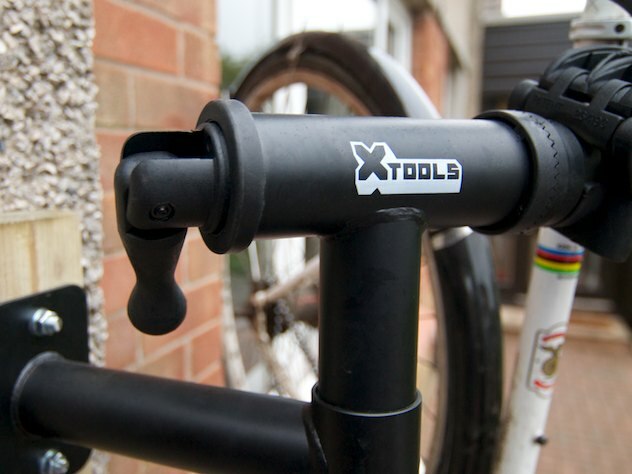 That is, if you have the clamp open just wide enough to admit the seatpost or frame, when you flip the QR it won’t tighten enough to grip – you need to rotate the handle a few times too. Vice versa at the end – you flip the QR open, but you can’t take the bike out… it’s loose and you have to hold it up with one hand and rotate the lever. Considering how easy it would have been to make a QR that had a long enough throw, this is a bit disappointing (it makes things especially difficult for my better half, who doesn’t find it as easy to swing a mountain bike around in one hand while she fiddles with the clamp). On balance, the overall sturdiness of the clamp makes up for this niggle for me (especially as I think I can trim the rubber and improve it), but YMMV. 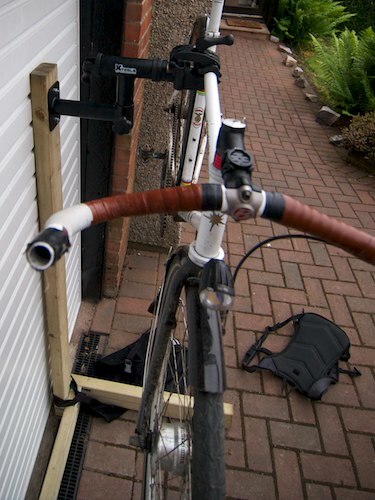 I was a bit concerned with the idea of a wall-mounted clamp, because of course it would be pretty useless if your pedal or handlebars kept bashing off the wall while you were working on the bike. This really isn’t an issue – there’s probably a clear foot between my bike and the wall (six inches at worst, at the handlebar) while you can use the overall angle adjustment to bring one or other end of the bike right out from the wall if necessary. Burly coated aluminium stock and a thick resin clamp make this a super solid bit of kit. The only piece that’s even vaguely questionable is the rotation mechanism (the two toothed plastic plates). It seems solid for now, but I’m not sure whether the plastic teeth will put up with years of abuse. The plates are tensioned by an M6 allen bolt, and mine came out of the box needing a couple of turns to snug it up. Don’t neglect this, as leaving the plates loose could let the teeth slip at a bad moment, damaging them and whatever you’re working on at the time! Once done up the clamp is strong enough to hold steady anything you’re likely to put in it – I’ve managed a tough tyre with the bike held in this stand (two of my bikes have solid axles and I prefer just to patch tubes if I can, but that means a bit of wrestling). The rubber inserts have relief channels for cables, which means it’s fine (with care) to clamp the top-, down-, or seat-tube of your bike. Seat post is still the safest option if you’re worried about crushing the frame! 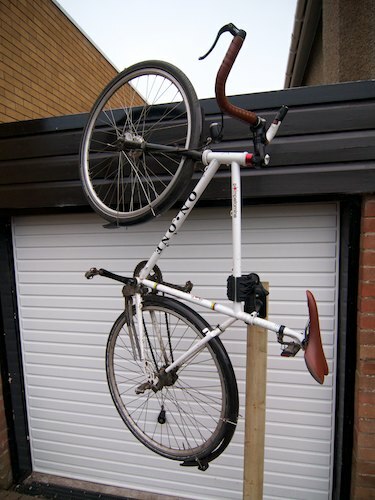 At the end of the day, a workstand isn’t *essential* for owning and working on a bike… plenty of people scrape by with turning the bike upside down or leaning it against the wall. You can position the part of the bike you’re interested in at a comfortable height. Don’t underestimate how much better your tune-ups will be if they’re comfortable – it really does contribute to a tip-top job. If you want to rotate the wheels a lot, you will cry tears of joy at the simple fact that the bike is upright and off the ground (for instance, fitting a new mech or replacing shift cables, or just trimming your gears). The traditional choice for a home workstand would be the Park Tools PC9 or PC10 (or perhaps the Feedback Sports Pro Ultralight), but all of these cost around double, if not triple the price of the X-Tools clamp. 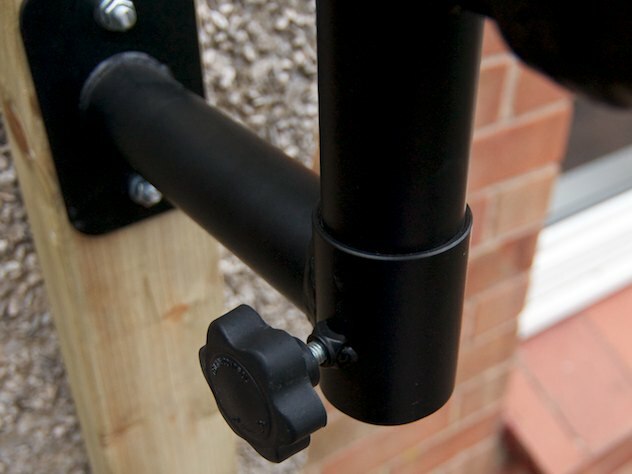 If you need to move it about, obviously a fixed clamp is not for you, but otherwise you are buying a whole lot of strength and stiffness for your money, in a well thought out and solid design, with just the one outstanding niggle over the QR throw. Within its niche – definitely recommended. Chain Reaction have these on a respectable discount at the time of writing. Hi, very interesting review. 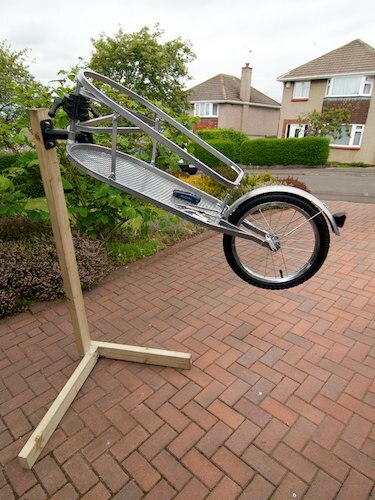 Are you able to clamp the large diameter frame tubes of recumbent bikes with this workstand? Up to which frame tube diameter would it work? I’ll measure the jaw capacity when I get a chance and update this, but I did casually try my High Baron with this clamp and it wouldn’t fit easily.